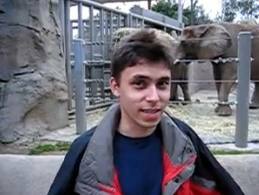 The first video uploaded to YouTube, “Me at the zoo,” is posted on April 23, 2005 at 8:27 PM by co-founder Jawed Karim. For now being a piece of history, the video is actually pretty dumb. Note to future entrepreneurs: what you do may be for posterity. Choose wisely.